I am always grateful and appreciative of the continued synchronicities that keep flowing in my life. I am always learning on a deeper level just how connected we all are and then the universe shows me another wonderful example of this connectivity. I had been receiving more signs to experience a different aspect of the camino and I especially pay attention when things come to me “out of the blue” as we would say in America. When something happens through either new connections or from people we may not have met before. Just such an experience happened a couple of weeks ago when I traveled again at the last minute, another typical sign for me that I am back in some kind of good FLOW. In meetings with a new friend and colleague I began to receive emails from someone I had not met and then during the meeting in the hotel they had a package delivered to me. All of it contained information on the English Way – The SLOW Way of the Camino. The English Way, was mostly used by pilgrims coming from Britain and Ireland and it was also an important trading route. I had been thinking of experiencing this camino for more than a year to explore a different aspect of Galicia and the Camino. A dear spanish friend of mine, Marisa Granda, had walked this camino last year and I loved hearing her stories and seeing her pictures. It is a perfect camino opportunity that can be done in 4 – 7 days depending on your interests and speed of walking and is comfortably done in 5 -6 days enjoying the gastronomy, scenery, small villages, ocean – mountain views and time in nature. During this same time in Santiago I was invited to be interviewed by the Hosteleria Santiago Magazine about my experiences of the past 10 years that led me to following the signs to the Camino, Santiago de Compostela, which now has me living in Galicia, northern Spain. I feel blessed and honored to begin to share this story and my experiences and hope that they will encourage and inspire people to share in their own Camino Experience. During the interview they shared more information on the English Way and I decided that I would walk during the Semana Santa – Easter Holiday time preparing to begin walking on tuesday March 26, 2013 and to finish Easter Weekend. In preparing to share more of our travel adventures I set up http://www.gastrocamino.com and http://www.globalpilgrims.com and emailed some of my camino friends to request their kindness in sharing some of their thoughts and reflections of the camino and how it has touched their lives. Just one day later (last night), I received an email from a camino friend, Dora Ivani, that she would be arriving to Madrid Spain TODAY from Hungary walking the English Camino on MARCH 26. 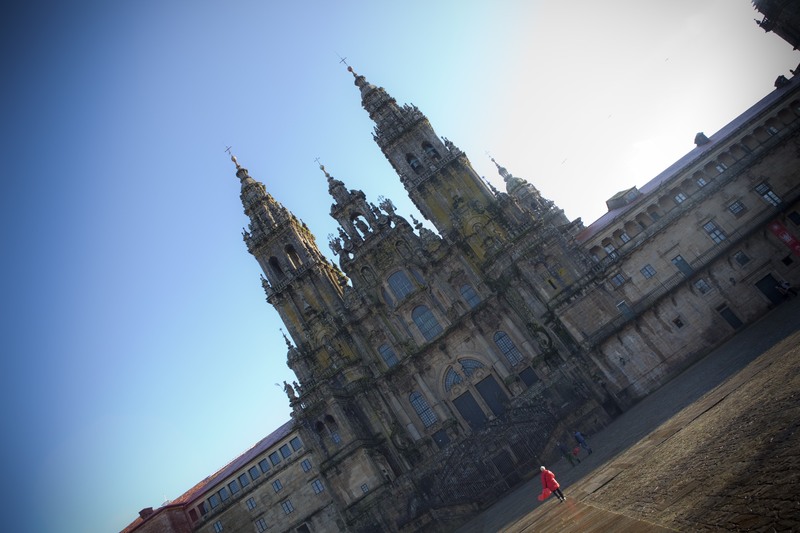 Remaining in Galicia until April 7th to experience more of the camino and this beautiful area of Galicia. I again was thrilled and of course amazed how God and the universe had guided the “Right Timing” and connections for another unique and exciting camino experience with the opportunity to begin on the exact same day. This is the second time this has happened for me the other story I will share in another blog posting. Thank you Dora for your kindness in sharing some special camino time together creating more incredible memories in Galicia! Here is a picture of Dora and our other camino friends when I was fortunate to meet them and they included me in some very special times together in Santiago de Compostela and Finisterre (I will share more of their special story in another blog posting that I hope you will enjoy). 4 Days To Next Camino Experience – Have a very fun, blessed and interesting day looking for your signs and synchronistic connections!!! 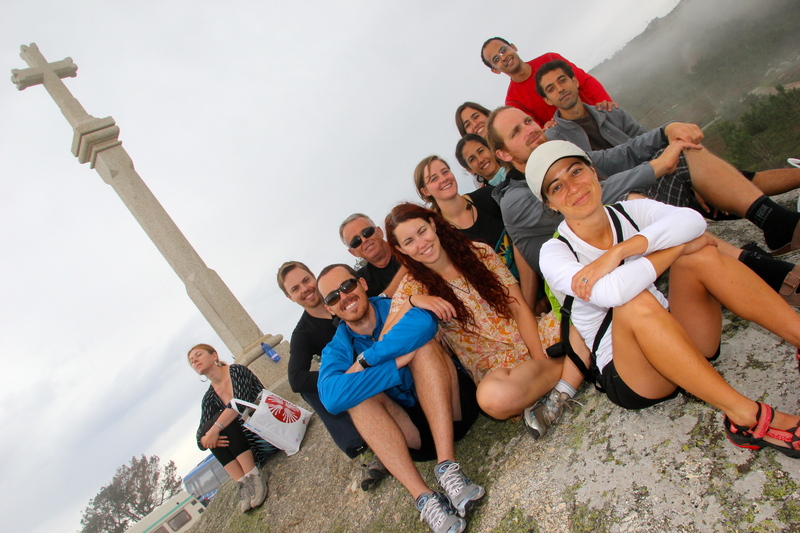 This entry was posted in Camino Stories & Syncronicities and tagged nature. Bookmark the permalink.